The estimable Jim Bacon has posted on the class size/student performance issue. 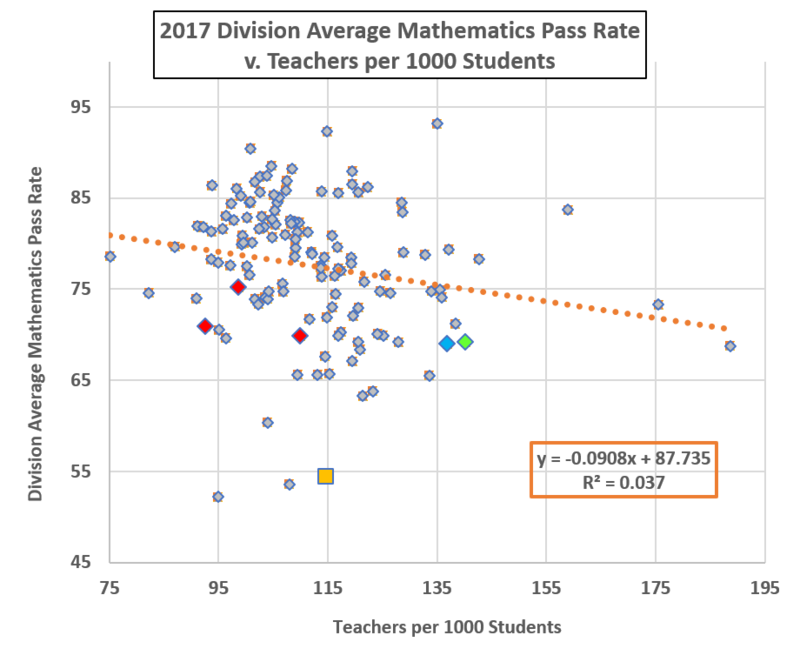 He used a graph I produced showing division average math pass rates vs. the number of teachers per thousand students. Oops! 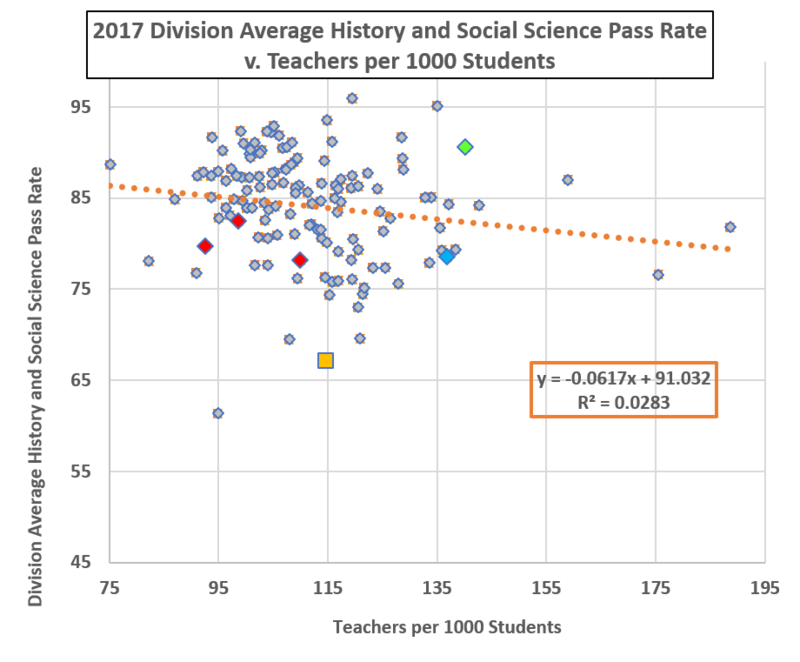 I used 2016 pass rates and 2017 teacher/student ratios. 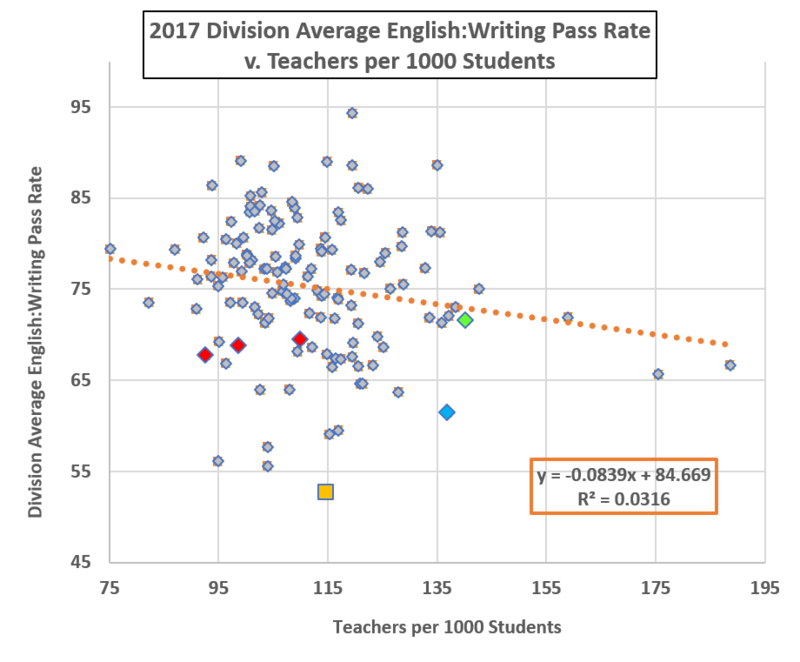 Using the 2017 pass rates changes the graph slightly but does not modify the conclusions. Here are the correct data for math and the other four subjects as well. 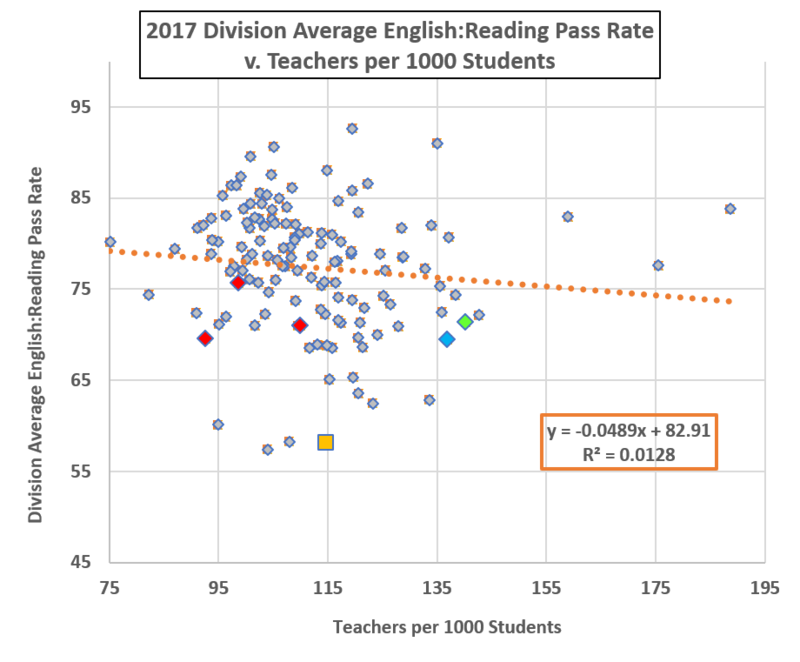 Pass rates are from VDOE’s very nice (but very slow) database; teacher data are from the Superintendent’s annual report. 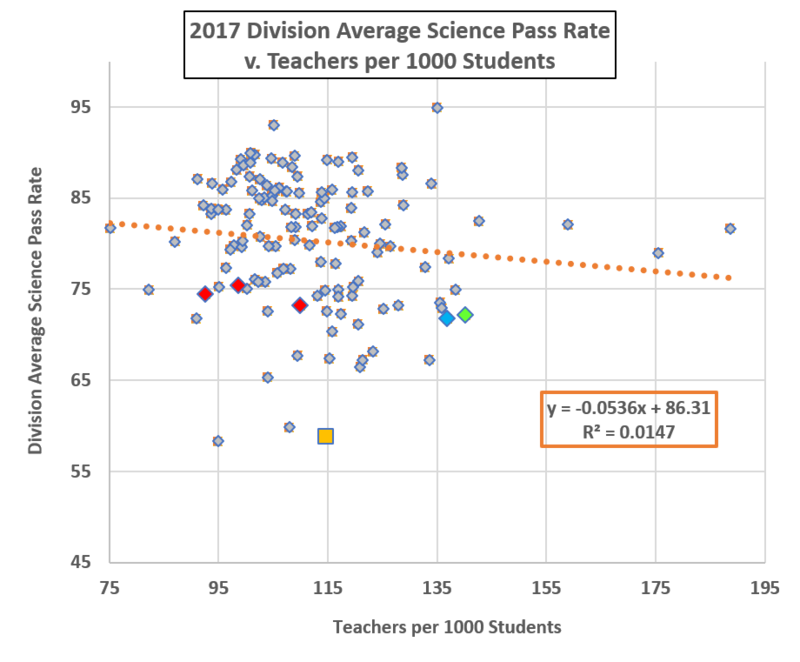 The negative slope might suggest that increasing the number of teachers is associated with lowered SOL pass rates but the R-squared value tells us that the two variables are essentially uncorrelated. Richmond is the gold square on the graph. The red diamonds are the peer cities, from the left Newport News, Hampton, and Norfolk. Charles City is green; Lynchburg, blue. The Big Hitter up there is Falls Church, with a 92.6% pass rate at 119.5 teachers/thousand. Next in line are West Point (135.0, 91.0) and Poquoson (105.1, 90.7). The data for the other four subjects tell much the same story.